# Cheapest and Best Quality Service Ever!!! Total 65 Backlinks in Just $5 and it will Be Delivered to you within 24 hours along with detailed excel report including credentials will be given to you. Why You Buy This PR9 And EDU.GOV Backlinks ? ✔ Domain Authority Ranging from 80-100. ✔ Google Panda 4.0 & Penguin 3.0 algorithm. 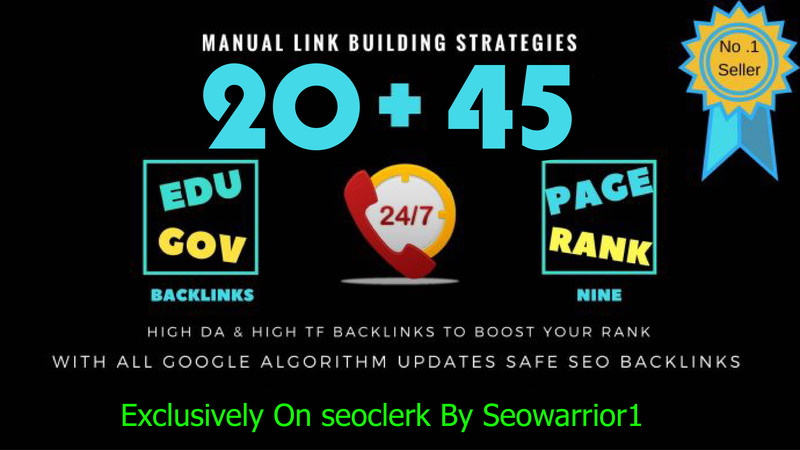 80+ DA 45 PR9 + 20 EDU/GOV high PR safe Permanent Backlinks is ranked 5 out of 5. Based on 24 user reviews.